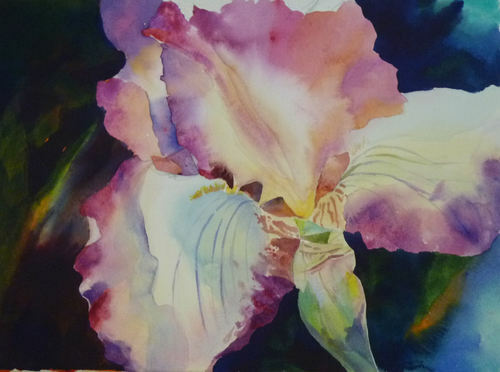 Sandra is an experienced watercolour artist and is an active member of the Federation of Canadian Artists. 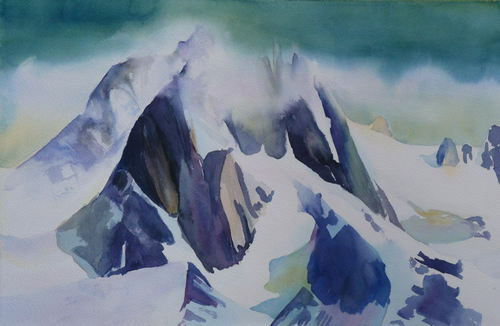 Her watercolour paintings are often layered with transparent pigments in an attempt to recreate the moods and weather conditions she encounters while hiking and skiing in the mountains of the Kootenays. She also enjoys painting with acrylics using the intensity of this medium in an attempt to capture the power of the landscape. 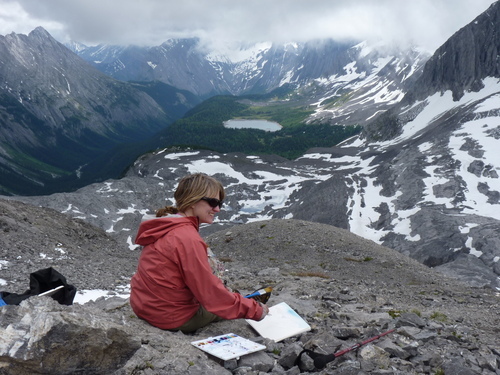 Sandraâ��s desire to paint is a constant companion which is fuelled by her experiences and a love of the mountains. 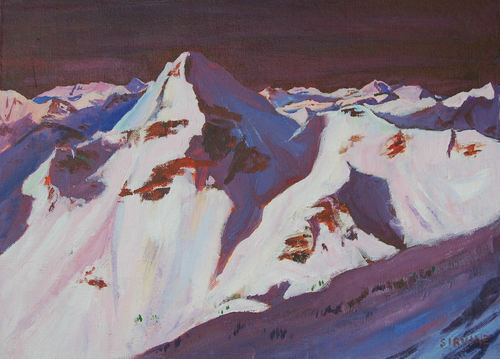 This painting was created following my husband's helicopter trip into the Bugaboos for work. 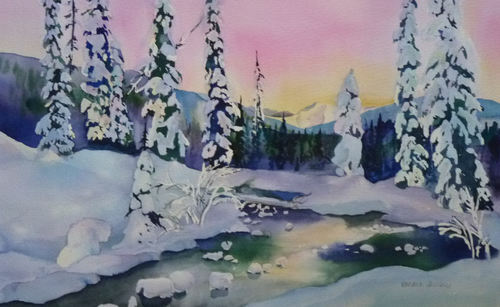 We enjoy all forms of skiing in the Kootenays and especially love the winter landscapes draped in snow.